Here is Some Information about Thirukkuralappan Temple in Aranmula Kerala India. Nearest Airports : Cochin and Trivandrum. The temple is among the 108 divyadesams of Sri Vaishnavas and comes under Kerala based/Malai naatu/chera naatu divyadesams. The presiding deity here is Thirukkuralappan or Parthasarathy in standing posture and thayar is known as Padmasana valli thayar. 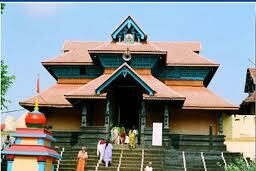 The temple is among the most important Krishna temples of Kerala and part of the Anju ambalam near Chenganoor. Anju ambalam means five temples where the Pandava brothers installed deities and worshipped Lord Vishnu in different forms. 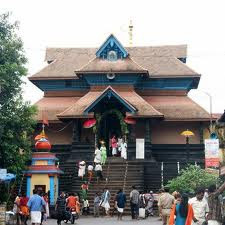 Yudhistara worshipped at Chengannur temple, Bheema worshipped at Thirupuliyur, Arjuna worshipped at Aranmula, Nakula at Thiruvamundur and Sahadeva at Thirukadithanam. Aranmula is a big temple built like a fort with four towers on each side. On one side is the main entrance with 18 steps while on other there are steps to get down to the Pampa river that flows besides it. Arjuna is said to have constructed this temple to be relieved from the sin of slaying an unarmed Karna in the battle. The deity is said to be brought by Arjuna from Nilackal near Sabarimalai in a raft that was built with six pieces of bamboo and so named Aranmula. Aranmula is popular as the place for snake boat race during Onam festival and Lord Ayyappan's jewels are taken from here to Sabarimala for the Makara jyothi festival. It is included among the 108 Dhivya Dhesams in India. River Pampa, flowing through this village just next to the temple, adds some more beauty to the place. The northern gate of the temple opens at the bank of the river. The temple has 4 huge towers at its entrances. It is one of the prominent halts where the sacred Jewellery of Lord Ayyappais kept for rituals, during the long procession to Sabarimala. Boat Race (Vallam Kali) in the Pampa river is another major attraction. According to the legend, the five Pandava princes crowned their heir Parikshit as the king and left on a pilgrimage around the country. When they were in Kerala, each one of the brothers established a temple in honor of Vishnu and worshipped there. Yudhishtira built a temple at Chengannur, Bheema built one at Thiruppuliyur, Arjuna at Aranmula, Nakula at Thiruvamundur, and Sahadeva at Thirukkadittaanam. It is said that Arjuna initially made this Vishnu temple at Nilakkal, near Sabarimalai, and then it was brought here on a raft made out of six pieces of bamboo. And hence the name Aranmula stuck ('Aranmula' means six pieces of bamboo). It is believed that Arjuna built this temple to absolve himself of the sin for having killed Karna, who was Nirayuthapani (weaponless) on the battelfield (according to Dharma, one is not supposed to kill an unarmed enemy in battle). 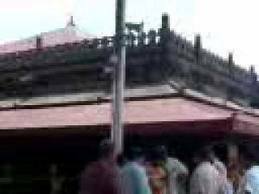 By Road : The temple is around 20 kms from Thiruvalla and 6 kms from Chenganoor. By Train : Nearest airports are Cochin and Trivandrum. One can hire a vehicle for half a day trip and cover all the six divyadesams in this region.